One of Trump’s favorite and prized possessions of the past is his 1997 Lamborghini Diablo VT. 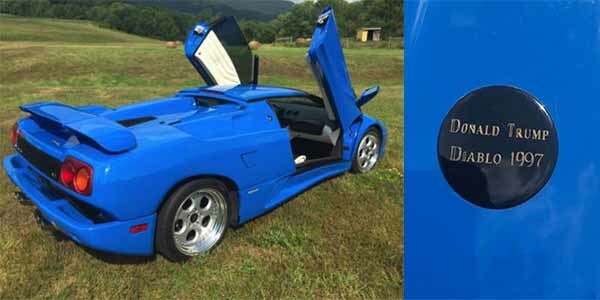 Introduced in 1990, the Diablo picked up where the insane ’74-’90 Countach left off. With a 6.0 liter V12, the Lambo had a top speed of over 200 miles per hour. Trump even put his own personal seal on it. When he sold it in September 2015, the car soon re-appeared on the market for $299 000. 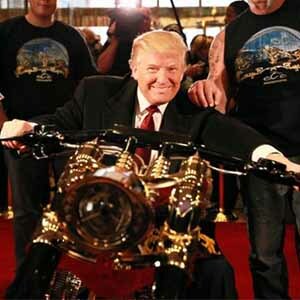 An identical Diablo was sold at a Barrett-Jackson auction the prior year for $148 500, so being owned by The Donald drove the resale value up quite a bit.